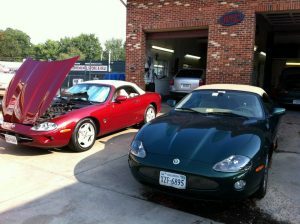 Virginia\\\\\\\'s top rated auto repair shop. Our prices are at least 25% lower than our competitors and up to a third of the price of some dealerships! Experience, knowledge and the right tools and equipment means your vehicle will be serviced right, saving you time, money and headaches. Why pay more at a dealership? and most of our work is covered by a 2 year, 24,000 mile NATIONWIDE warranty that even covers towing, ask for full details. Toyota\\\\\\\'s may not need many repairs, but regular servicing will keep them reliable. Hybrids need special care and experience to maintain, Forza can help with that. Probably the most reliable vehicles on the road today, Forza can help you keep them that way with our factory service schedule at a fraction of the dealers price. We specialize in European vehicles, these vehicles require special fluids, tools and care, don\\\\\\\'t trust the national lube and tire shops to correctly service European vehicles. Some of the most luxurious and finest vehicles ever made, but they are also extremely complicated and expensive to maintain at the dealership, Forza can save you up to 50% on maintenance and repair costs. The 911, the best engineered vehicle of all time, we have owned and repaired Porches for over 15 years, why drive 40 miles and pay triple to service your Porsche? Ask about our special fleet and business pricing. Want to improve the performance, handling or looks of your muscle or sports car? Forza in Italian means speed, power and force. We have rebuilt them from the body work, engine and transmission to the interior and upholstery, so whatever your classic needs, give us a call. Forza Automotive located in Fredricksburg, VA helps offers full repair and general maintenance services for cars and trucks. We help you save money with superior quality repair and maintenance at the most competitive price, and a fantastic personal customer service experience, guaranteed. 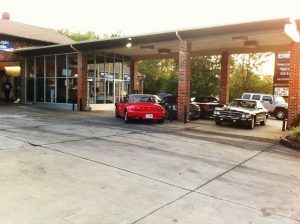 We work on everything ranging from Nissans and Fords to Ferraris and Porsches. 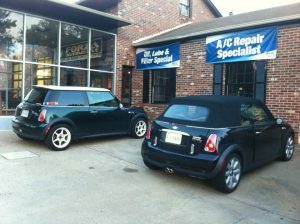 Foreign or domestic, new or old, production or custom, we can fix it! From oil changes to complete engine replacements and everything in between. Our 24,000 mile / 2 year NATIONWIDE TechNet warranty beats hand down any dealership warranty.